By Sandy Edwards on April 20, 2017 . Filed Under: Nonprofits, Tutorial. If you’re a nonprofit, Google Grants is a program that can help you increase the awareness of your cause, raise money, and find volunteers. Google Grants provides you with $10,000 worth of AdWords advertising every month, helping you get your message to people who are ready to help. Google Grants can help your nonprofit grow, no matter how large or small your current operation. Here are a few tips to help you get started. Determine if your nonprofit is based in one of the 50 countries supported by Google Grants. Apply to become a member of Google for Nonprofits. Ensure that your nonprofit has valid charity status. Create or maintain a website. Agree to abide by Google’s nondiscrimination, donation receipt, and donation use requirements. Google Grants gives you $10,000 worth of AdWords advertising every month. 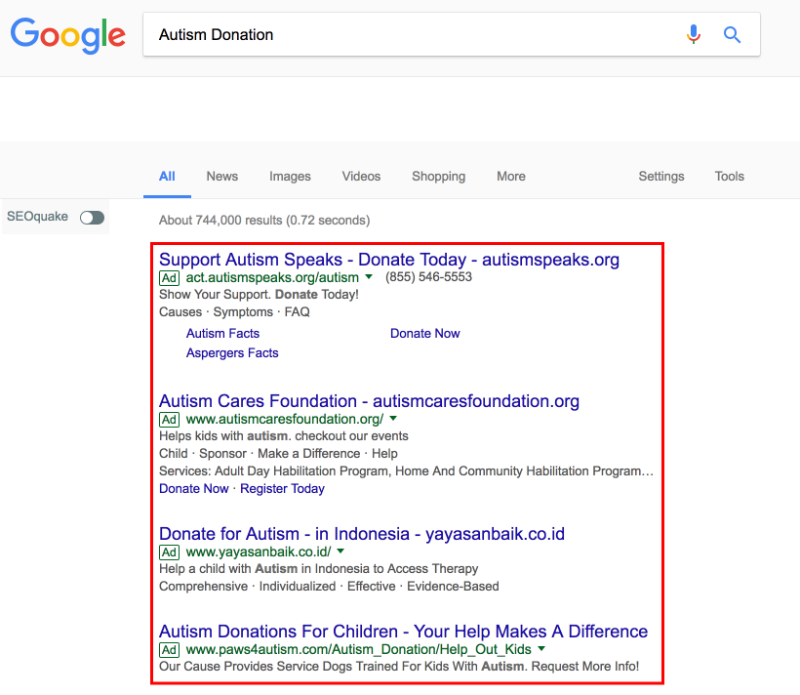 These ads work just like traditional AdWords online ads: they show up in Google search results for people who are searching for nonprofits or causes like yours. You’ll also have access to a wide variety of tools and information to help you reach the people you want to target. And once you launch your ads, you’ll have access to Google Analytics, which can give you vital information like which keywords perform best and which ad drives the greatest number of donations or signups. 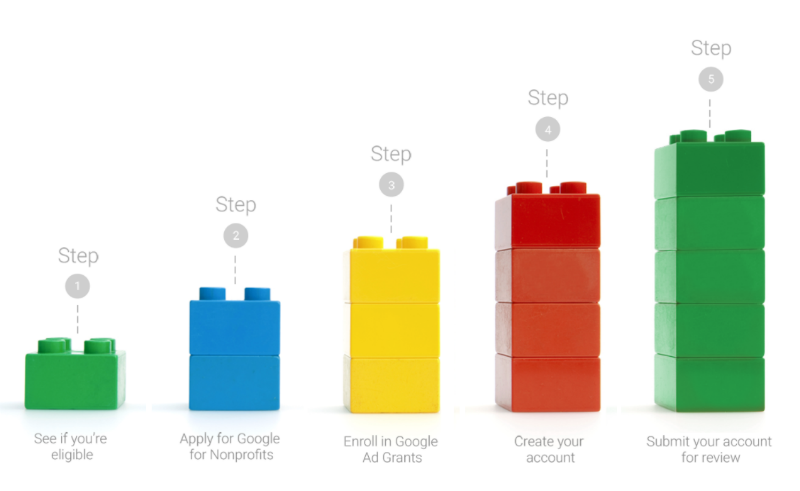 Once you’re up and running with Google Grants, it’s time to create your ads. Google has a few guidelines for all the ads that use this program. All ads include only text, meaning you can’t include any videos or images. You’ll also need to ensure that all of your ads are targeted to people based on specific keywords. To learn more about the details, check out Google Grant’s How it Works page. Your ability to receive your free AdWords advertising is at Google’s discretion, so you’ll want to ensure you meet all of their continuing eligibility requirements if you want to keep receiving their grants. You can only link your ads to one website, and that website needs to match the keywords and ads that you are showing. You also cannot display any Google AdSense ads or other affiliate advertising links, nor can you offer financial products or request donations of property. And you’ll need to keep your account active by logging in at least monthly. Learn more about these requirements on Google Grant’s Eligibility Page. If you think you don’t have the time to apply for Google Grants and then maintain your status, an expert can help. Working with someone who is familiar with Google Grants can ensure that you keep up with all of Google’s eligibility requirements, helping you to avoid getting removed from the program. An expert will help you make every ad dollar dollar count. An expert can help you target the right people, so those who are passionate about your cause can find you and learn more about the work that you do. An expert can also help you make sense of all the new data you’ll be getting, giving you ways to improve your ads even further. All of this means that working with someone who knows their way around Google’s advertising system will lead to increased visitors, volunteers, donations, and awareness. Instead of wasting hours trying to figure out an intricate new system, an expert can teach you everything you need to know, allowing you to devote your valuable time to growing your nonprofit. Note from Evermore: Sandy’s company, CE Squared, is one of these experts! If you’d like to learn more about what they can do for your nonprofit, contact them. Google has a great blog for nonprofits to help you stay informed. There’s also a thriving community of nonprofits that use Google Grants. You can use the message boards to learn tips and tricks, get answers to your questions, and learn from the passionate people that work in nonprofits around the world. And if you ever have technical issues, Google Grants has a help center as well. One of the best ways to see the possibilities of Google Grants is to take a look at the ways that other nonprofit organizations are using it. Google has a rotating list of success stories that showcase the results that you can get from a smart application of the free advertising that Google Grants can provide. Reviewing these success stories can give you an idea about what is possible for your nonprofit. While Google Grants is a great tool for your nonprofit, it does have limits. Your ads will always appear below the ads of paid advertisers. And as we’ve mentioned, your ads can’t include any images or videos. You’ll need to log on monthly, and make changes to your account at least every 90 days. We would recommend making changes much more frequently, but this is the bare minimum before you are booted from the program. Google Grants offers you up to $10,000, but it will take some work to spend that amount of advertising dollars. AdWords doesn’t create campaigns for you, and if you aren’t paying attention, you are likely to spend far below what your Google Grant covers. We still think Google Grants is good for most (if not all) nonprofits, but it is good to keep these limitations in mind. If you decide to apply for Google Grants, you’ll need to register with Google for Nonprofits. This not only allows you access to Google Grants, but also give you the opportunity to use several great Google features for free. Depending on what country your nonprofit is based in, this might include G Suite, Google Maps Outreach, and the YouTube Nonprofit Program. Lean more about the details on Google for Nonprofits. If you have a nonprofit organization, I hope this information has given you the confidence to give Google Grants a try. Sandy Edwards has been working in the online marketing space for over 5 years. She started at a niche firm that utilized WordPress to create sites quickly utilizing several options frameworks. 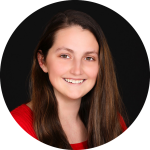 Today, she owns CE Squared who specializes in Online Marketing, SEO, SEM, WordPress Maintenance and Full Scale WordPress Websites. She loves to give back by teaching kids about coding, WordPress, and other technical skills. Sandy is very active in the Orlando WordPress community and is excited to see what 2017 will bring to the tech space!